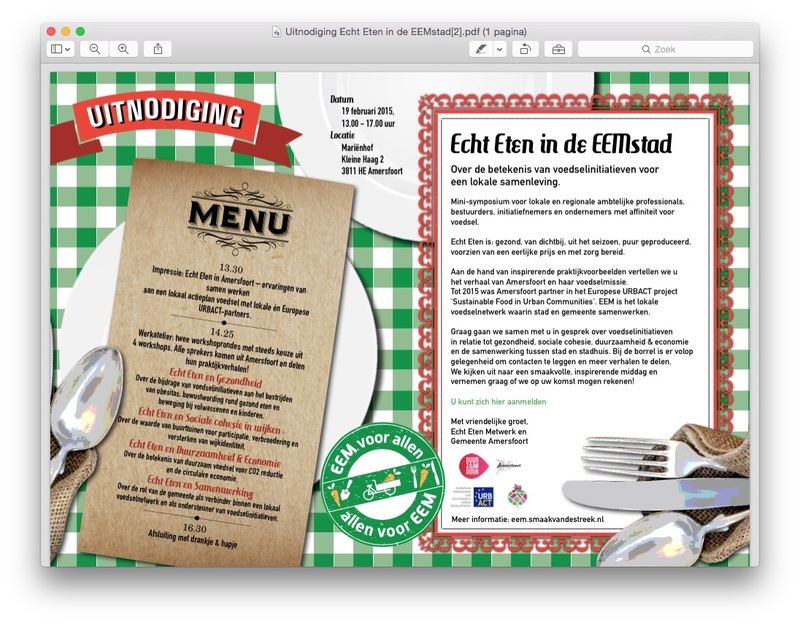 The Urbact project is almost finished for our city, but ‘real food’ will stay on the agenda of dedicated initiatives and the municipality. Also the implementation of our Local Action Plan is in full swing. Time for a wrap up conference on February 19th: What did we do on our Urbact Food journey , international with our EU partners and local within our food network. What did we learn and how can we share our experiences and insights with new parties and cities in the Netherlands. What did we achieve (LAP) and what is still ‘ in progress’, and what kind of practical tools can be recommended to others? How will we continue after Urbact? Signing of the Dutch City Network Urban Farming agenda by an elderman of city council and the local food network. The role of the municipality in a local network: How can a joint venture between city administration and local stakeholders contribute to stimulate bottom up approach. Workshop method: start with a general overview of the topic using transnational and local initiatives as an example, followed by a speed presentation of an local example leading to a micro-consultancy session. All contributors in the plenary session and workshops are locally involved! We will share our insights after the event with a new post.